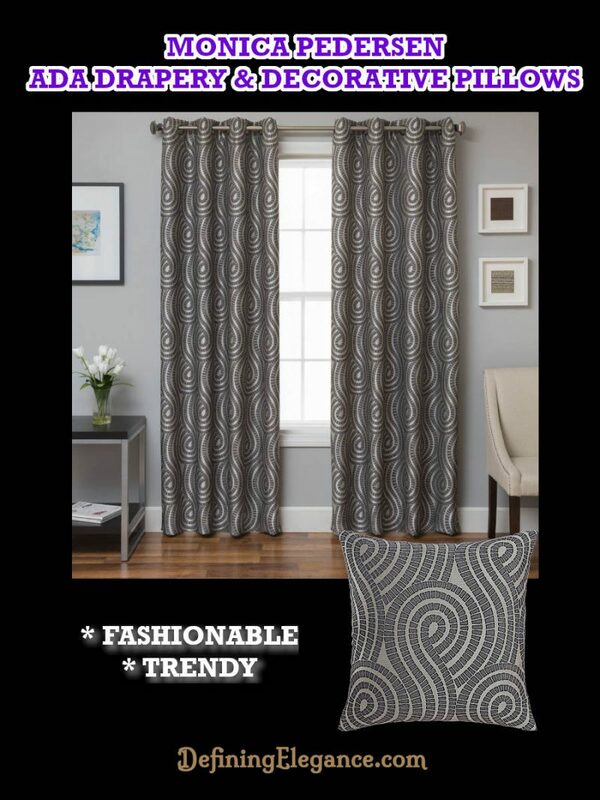 Jazz up your home with striking graphic drapery panels and decorative pillows from Softline Home Fashions Monica Pedersen collection. 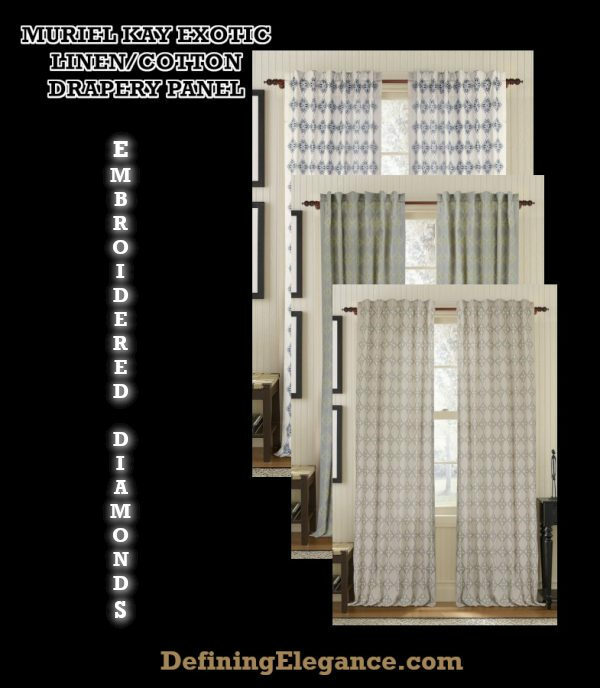 #DefiningElegance #SoftlineHomeFashions #MonicaPedersen Inspired by Chicago’s trendy West Loop neighborhood. 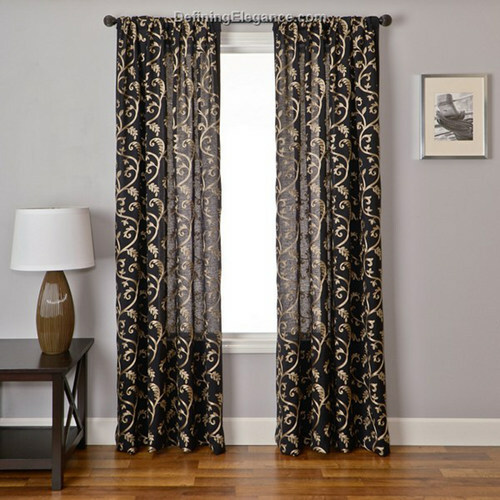 The Exotic Drapery features a diamond embroidered design with three different color choices. 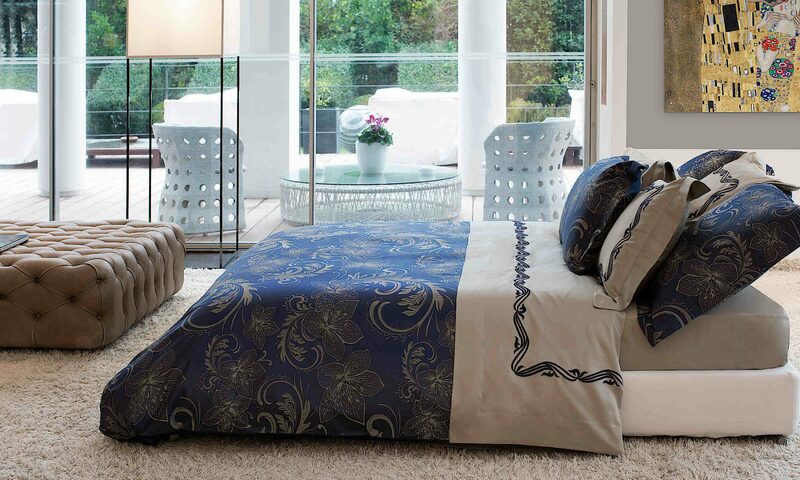 #MurielKay #DefiningElegance Matching decorative pillows are also available. 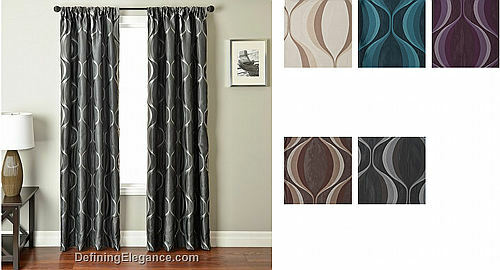 We recommend purchasing fully refundable fabric samples to help coordinate decorating decisions. 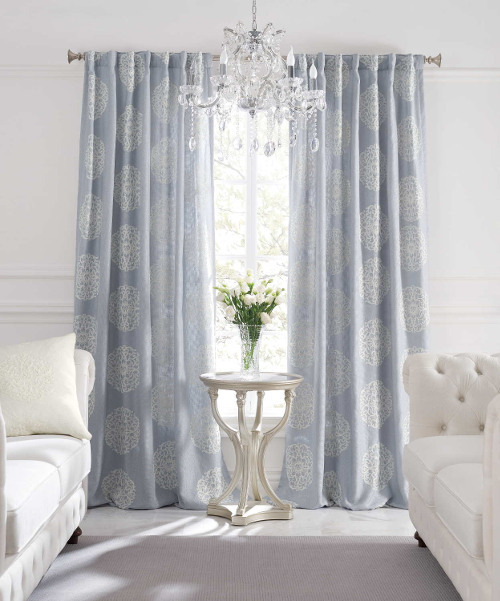 The Aesthetic Drapery Panel collection and matching decorative pillows from Muriel Kay are offered in three earthy colorways – Charlotte Blue, Grey Mist, and Natural. 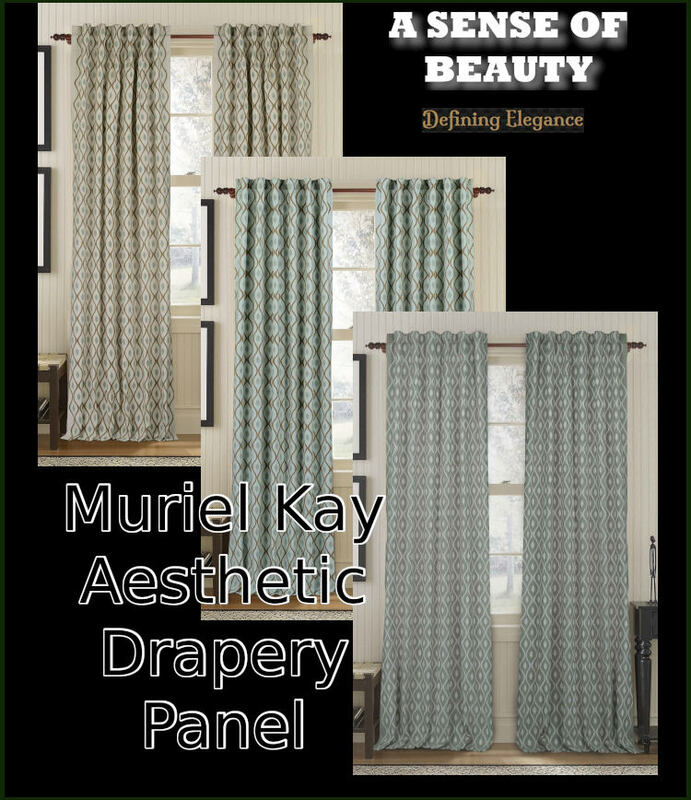 #MurielKay #DefiningElegance Our fully refundable samples insure that fabrics and colors are the perfect match for your decorating goals. Manufactured to DefiningElegance.com standards and now available for your home. 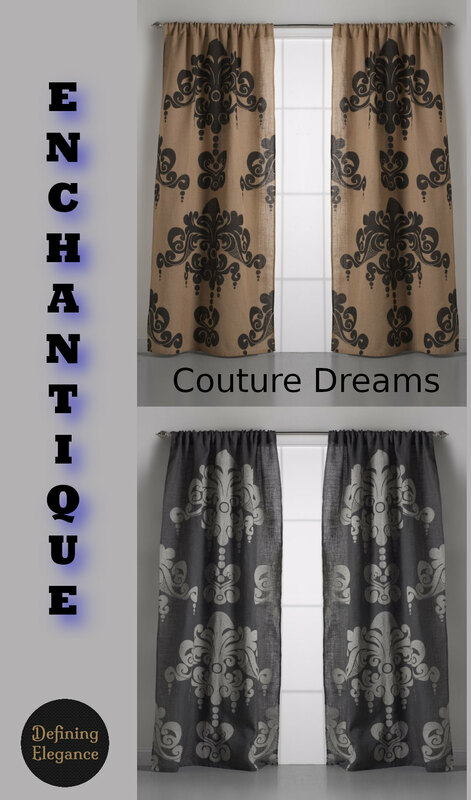 My own inspiration for decorating my home usually starts with fabric. This could be the draperies, a rug, decorative pillows, or an heirloom quilt. 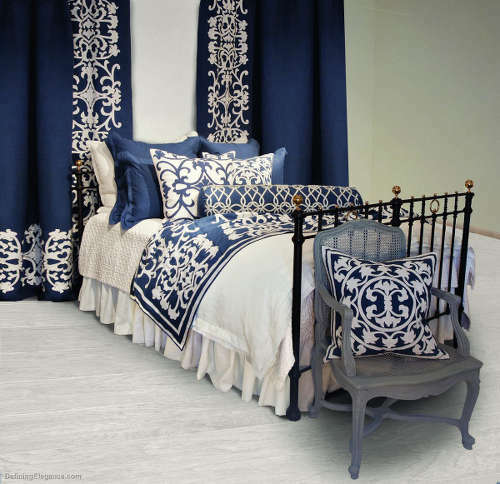 All other decisions about paint, coordinating fabrics, and accent pieces are secondary. 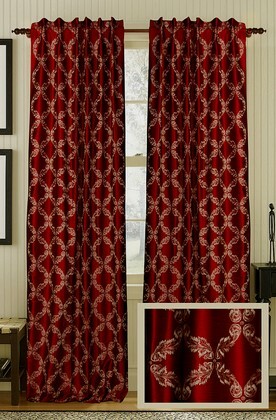 Imagine starting with the Monica Pedersen Bellevue drapery panels as your inspiration. Offered in Sky Blue or White, these panels are a perfect start to creating your own fabulous traditional or contemporary setting. 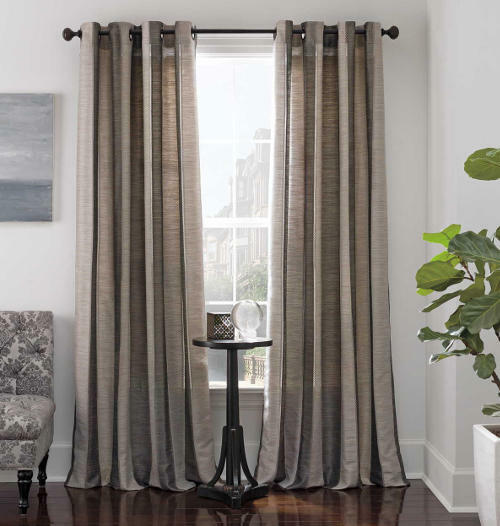 The Weatcot drapery panels from Softline Home Fashions are offered in lined, unlined, and interlined panels and are available in five luscious colors: Charcoal, Chocolate, Ivory, Plum, and Turquoise. 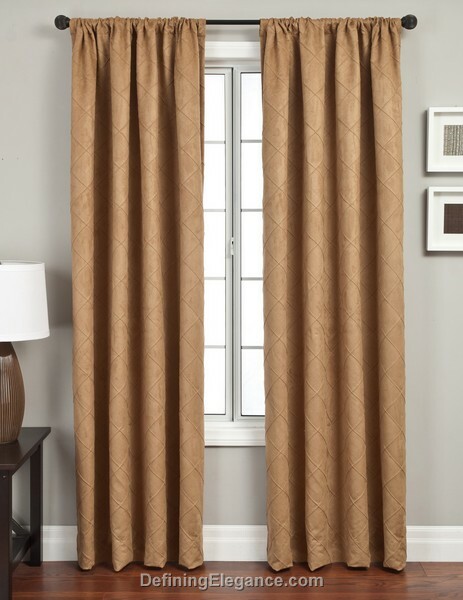 The contemporary panels can be ordered in rod pocket, back tab, or grommet styles to suit your decoration needs. Back tabs allow the drapery rod to be inserted through tabs on the back of the rod pocket to form soft pleats. 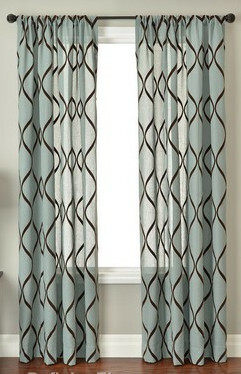 This style allows flexibility so that the panel can be hung as a traditional rod pocket or with the tabs for pleating. Grommets are available in three color choices: Chocolate, Silver, and Antique. 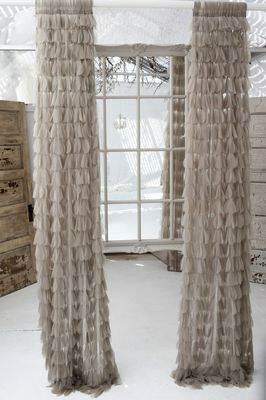 An optional six foot scarf to drape over the top of the drapery adds character and texture to your room.